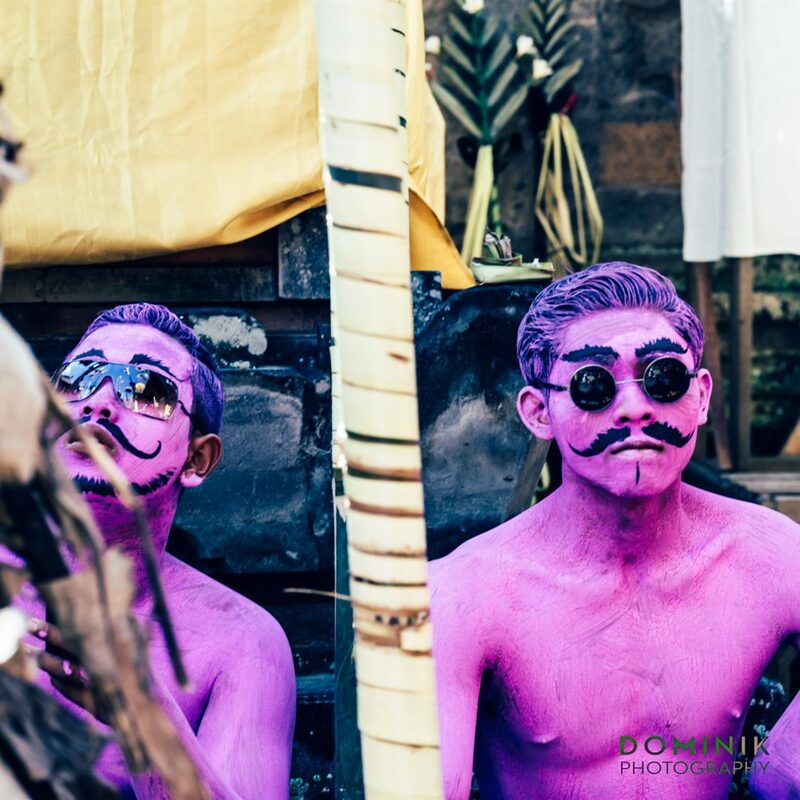 Once a year in the Balinese calendar the youth of an area in Gianyar regency come together in a temple to celebrate a ‘festival of colors’. Not just any colors, but colors put onto their bodies. It’s a bit carnival and a bit religious festival. and another one – a bit more seriously looking. 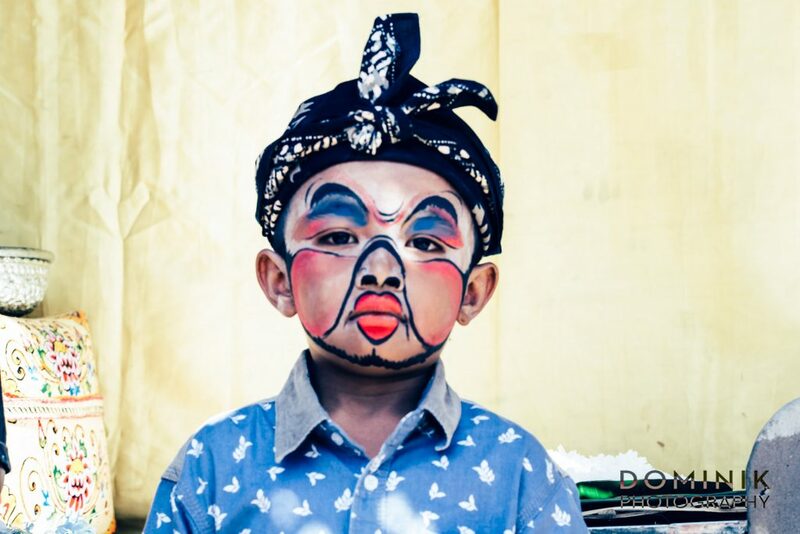 As everything in the life of Balinese people, there is a religious component to this. However, what I have witnessed is that the colorful boys leave it up to the adults to do the religious part. For the boys, themselves this is much more about showing off and having fun. There is no age limit but the majority of the participants are primary school children from around 6 years up to 12 years. But also, teenagers participate. But no girls seem to be allowed! Why it’s like that, nobody could explain to me. The girls are not excluded from the event itself though. They also come to the temple and have fun there. Often mingling with their male counterparts. 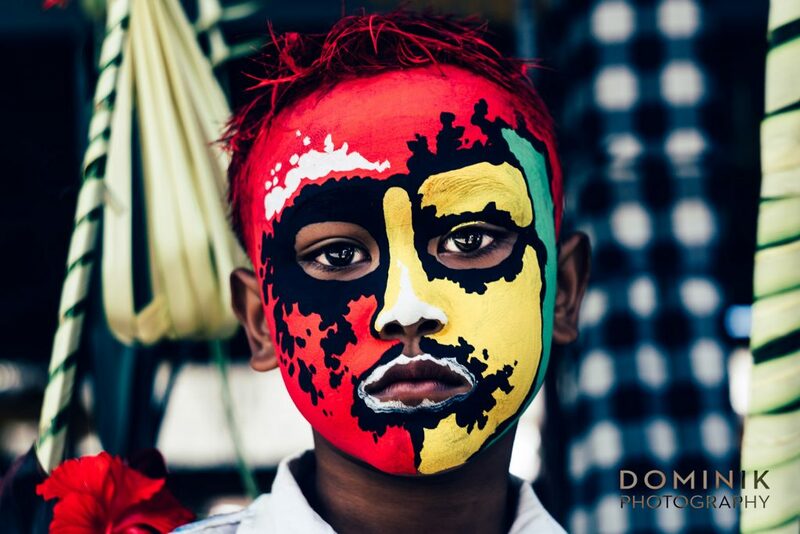 But none of the girls have any body-painting applied or wear any ‘fancy clothes’. 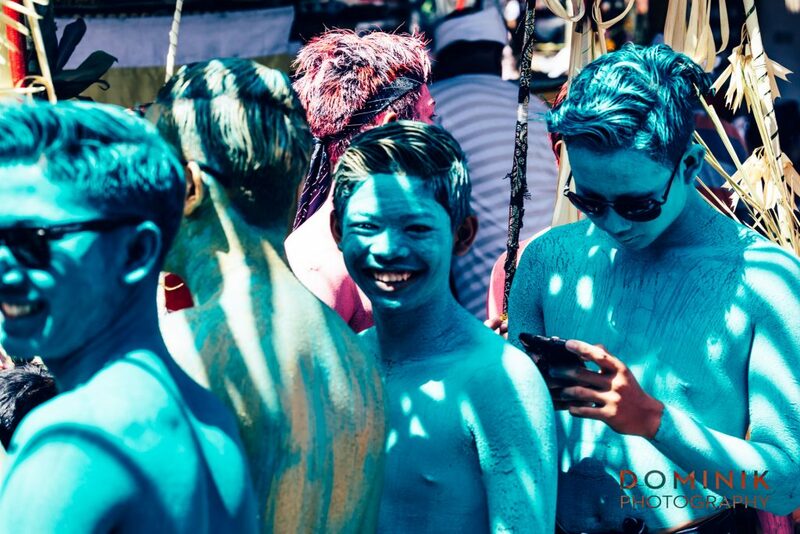 For the boys, the fun starts at late morning when they have their bodies painted. Applying the paint takes between 20 minutes and an hour, depending on the complexity and the design used. When I asked what kind of paint is used here I was in for a surprise. Just normal wall-paint. Which happens to wash off easily, I was told. 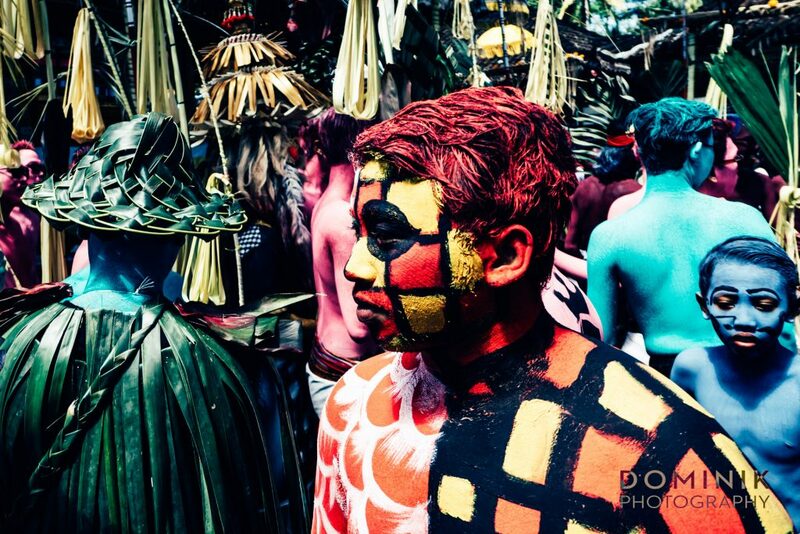 For the style of body paint itself, there are no rules – everything goes. What I witnessed though are two different approaches. 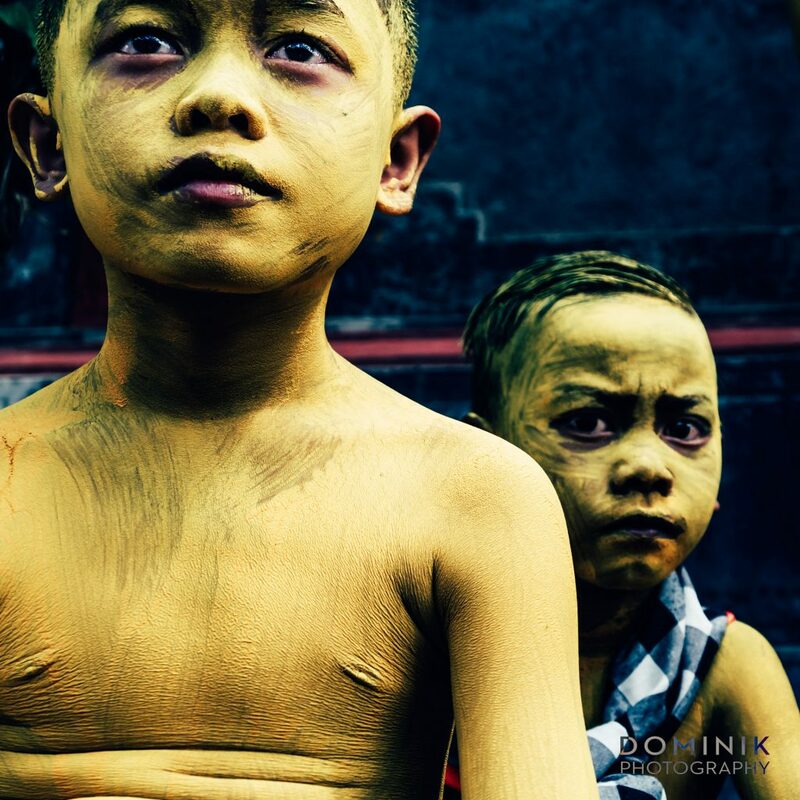 One being the ‘herd approach’ whereby a bunch of kids get the same body paint and wear the same clothes. Usually groups of 3 to 8 boys. And then there is the ‘individual’ approach. That is when one boy comes up with his own ideas as to what he wants to look like. If the idea originates from the boy himself or someone else is secondary. The primary objective is to stand out and not to be like others. The boys then congregate and descend onto the village temple. 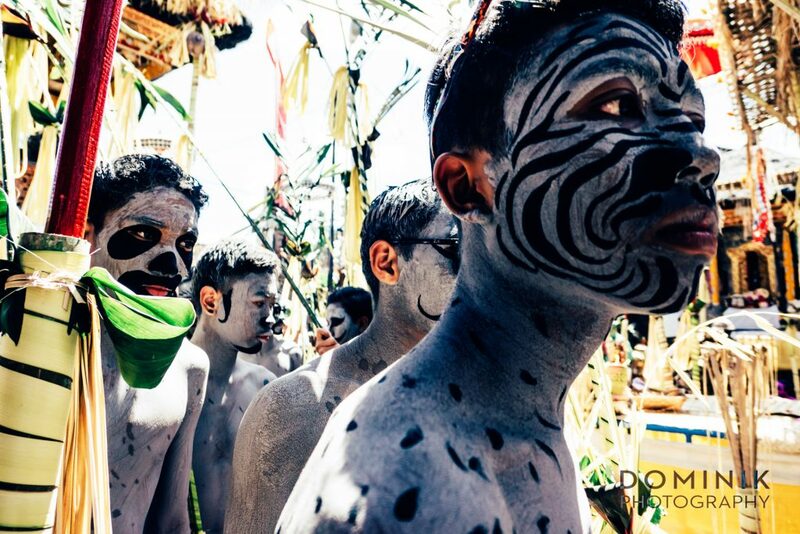 Upon entering the temple, they proudly parade their colorful body paint and often ‘funny cloth’ in front of the temple. Once in the temple, they seem not to engage in any religious pursuit or any other particular activity rather than just ‘hanging out’. Exactly the kind of things young males are about. In a wider sense, this whole event is a little bit like a carnival. Although on a much smaller scale. 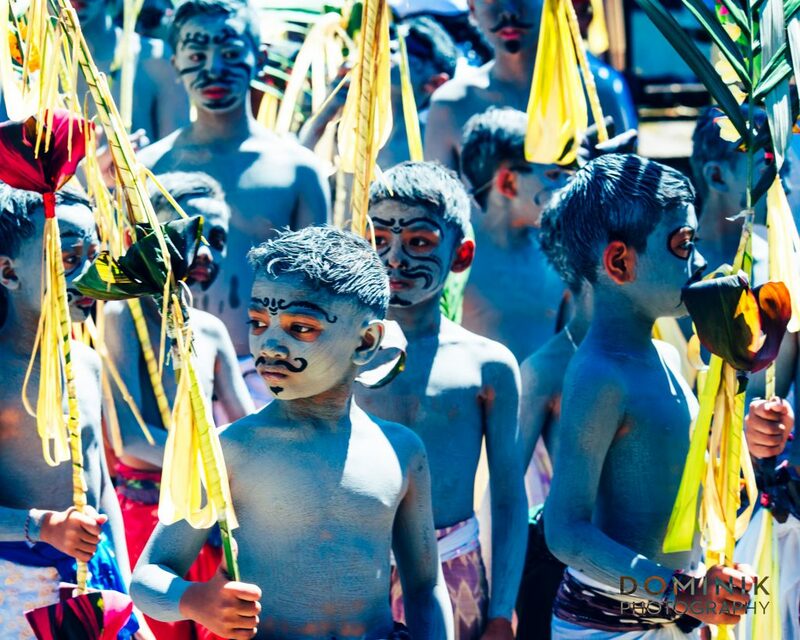 There are no more than 200 – 300 boys participating. When I asked about the meaning of this tradition I got various differing and inconsistent explanations. 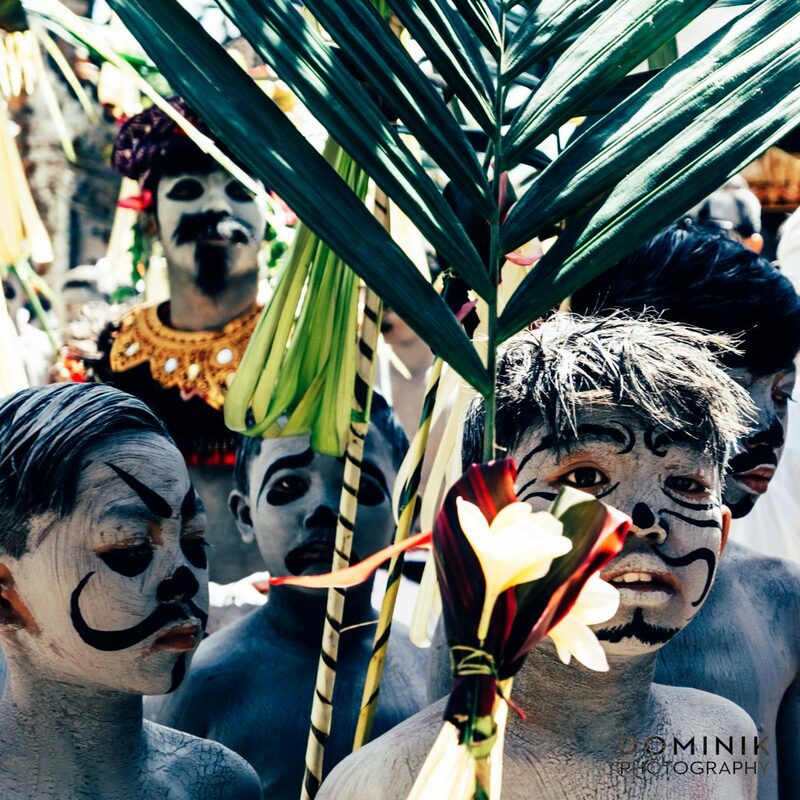 Also, the religious significance of this tradition cannot be of very high importance because this tradition is only carried out in one particular village in Bali. All this has led me to believe that this is just another occasion for young boys to have fun. And could there be any better reason than that ? I brought a couple of cameras to the event. On one side my Sony A7 R II and also my super zoom monster the Canon SHX 50. And of course also my Panasonic LX 10. I hardly used SHX 50 because I never had difficulties to get close to the action. The LX 10 was pretty useful because I could work somewhat ‘stealthy’. Upon entering the temple I exchanged the Helios for ILOWA 105 – a very special lens which I so far had very little opportunity to try out. However, I somewhat regretted putting on the 105 coz 105 mm was simply a too long lens for this occasion. If you come to photograph this event and you can only bring one camera I would recommend for you to bring a zoom lens such as 24-70mm or a 24-105mm. 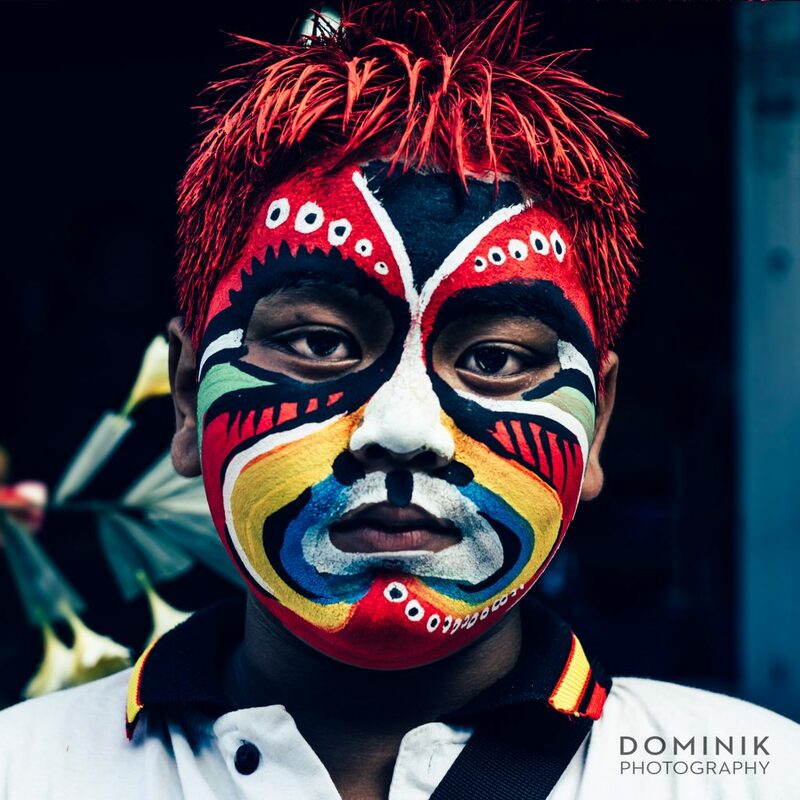 If you plan to come and also photograph those colorful boys come soon… The number of photographers is still ‘reasonable’ and most of them are locals. But I suspect that in coming years more and more tourists and photographers will be drawn to this event. Please note that in order to enter the temple you will need to be dressed in Balinese attire and you will need to comply with the code of conduct while you are in the temple. 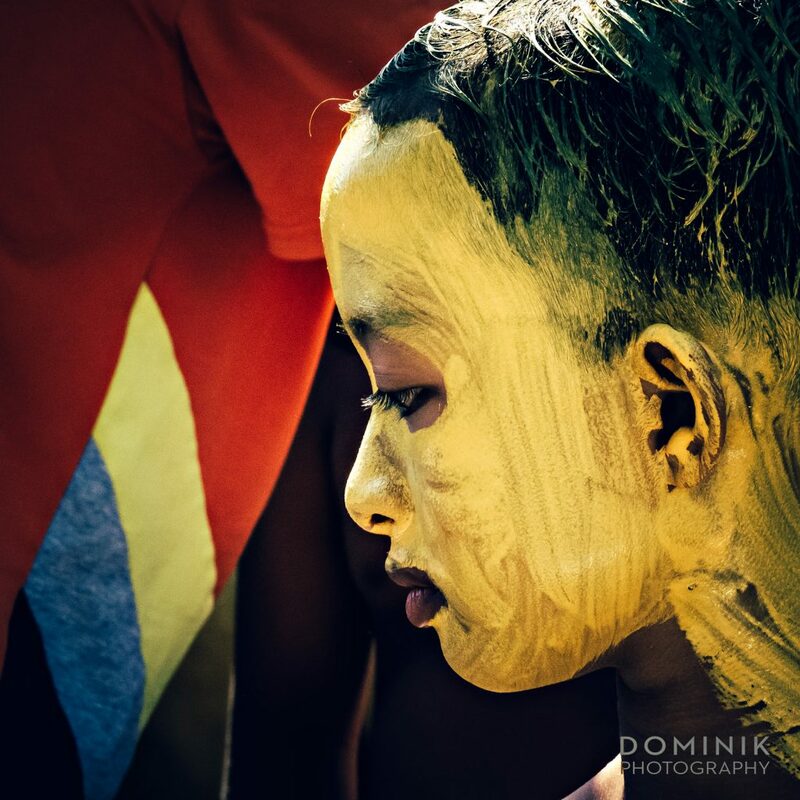 I hope you have enjoyed this series of photographs from the Ngerebek celebrations in Bali. Leave a comment below or be in touch. I love to hear from you. Very nice to have the opportunity to witniss this colourful event. Beautiful pictures! Love them all. 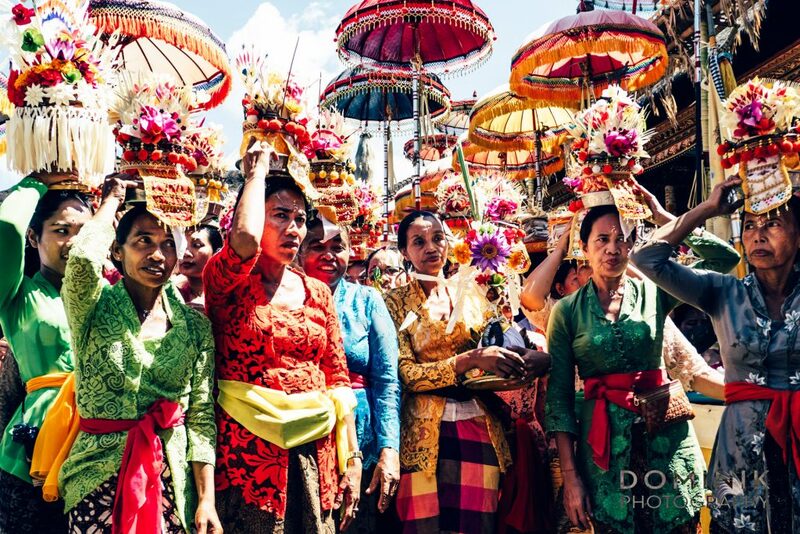 Thank you for sharing this party of colours from Bali with the rest of the world! 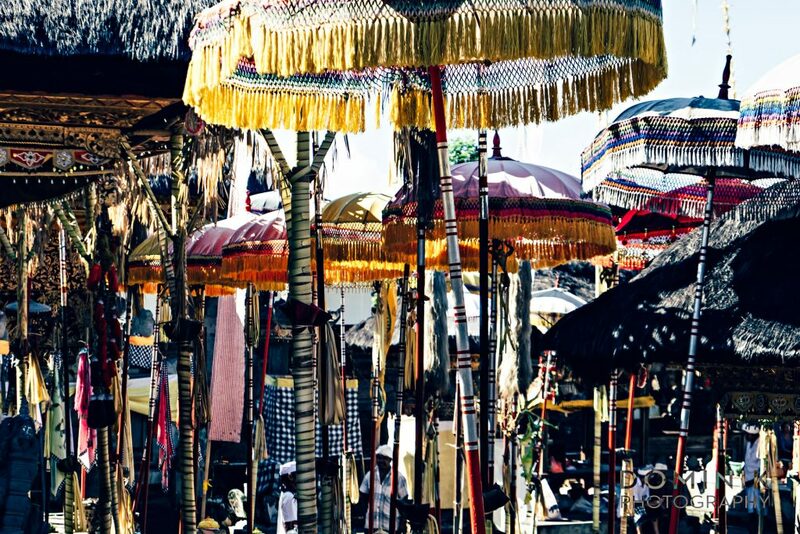 Having lived in Bali for 18 years, it amazes me that I am still surprised by it’s beauty and uniqueness. Thanks for capturing a glimpse of it! Truly wonderful, keep it up! Thank you Dewa. I am glad you like it. Come and visit us some time.